1. Icon of holy hierarch John. South side of the west wall of the nave. Grace shining forth from your lips like a beacon has enlightened the universe. / It has shown to the world the riches of poverty; / it has revealed to us the heights of humility. / Teaching us by your words, O Father John Chrysostom, / intercede before the Word, Christ our God, to save our souls! Having received divine grace from heaven, / with your mouth you teach all men to worship one God in Trinity. 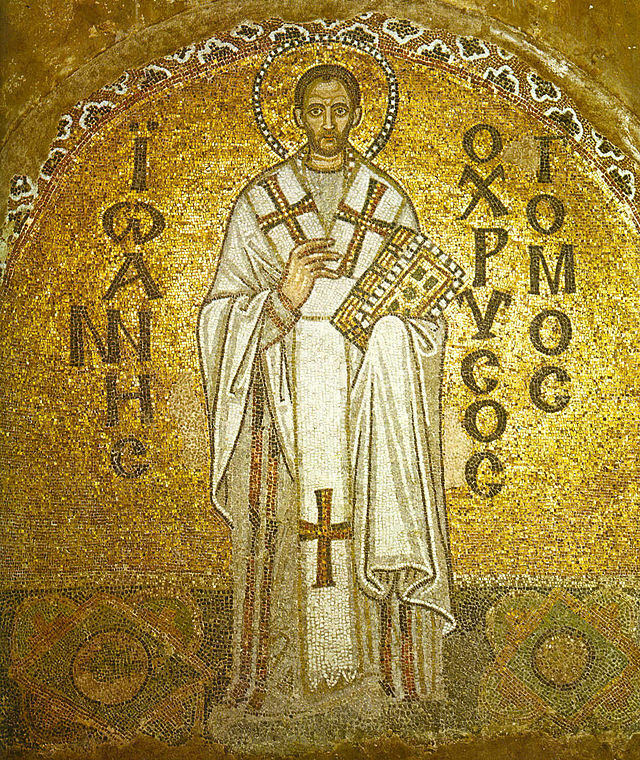 / All-blest and venerable John Chrysostom, we worthily praise you, / for you are our teacher, revealing things divine!